Building a website for your company or brand doesn’t have to be difficult or expensive, if you know how to go about things. We offer a range of packages that are suitable for any budget, which start from just £199. However, these packages cover basic website development with content, images and social features. Bespoke websites with more than just static content can cost a lot more – a lot more than just a simple website. If you’re looking to build a specific web project or application, you should Contact Us with specific requirements. How many pages do you want? If you opt for the CMS package (starting at £449), you can have unlimited pages. Do you want a Blog / News section on the site? This can be easily included with our CMS package, or you can create a Blog using a third-party website like WordPress or Tumblr. Do you want a custom design or are you happy with an off-the-shelf theme? The latter is always cheaper and saves a lot of time and effort. We can help you choose a off-the-shelf design that is suitable for your business or product. Do you already have a web hosting provider? If yes, we’ll need to know the technologies and software they support. In the event that the hosting provider is incompatible with our software, we can provide hosting or supporting technologies. If you don’t have hosting, see which package is right for you. Have you already registered a domain name? If so, is it linked to web hosting? Do you have control of the name for us to change some settings (should web hosting need to be provided)? If you don’t have a domain name, we can help you register one. What is your budget and timeline? You’ll need to have an adequate budget to cover the features you want on your website or application. Timelines are also important – we need to know when you expect the website or application to launch. If you’re after a complicated website or application, it’s going to take some time to build, test and modify. And it’s likely that your project cannot start right away. Make sure there is contingency built into your timelines. Do you have a brand guideline, or a colour scheme in mind? Tell us about it so we create the perfect website for you. 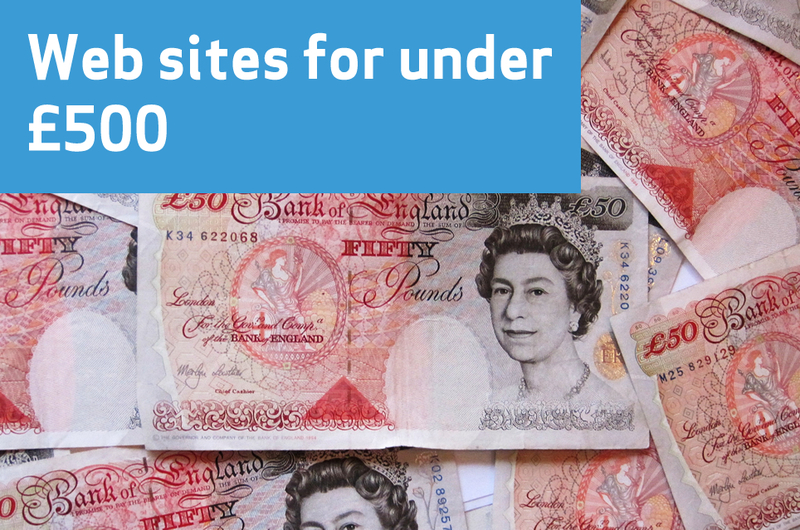 Don’t expect a website like thenextweb.com or sky.com to be built for anywhere close to £500. These websites have evolved with time, and are constantly updated by a team of editors and developers. They’ve cost thousands of pounds to develop, with years of man-hours spent.